Look like there is a bout of aggressive email phishing that tries to trick user into giving up their online banking account and password. 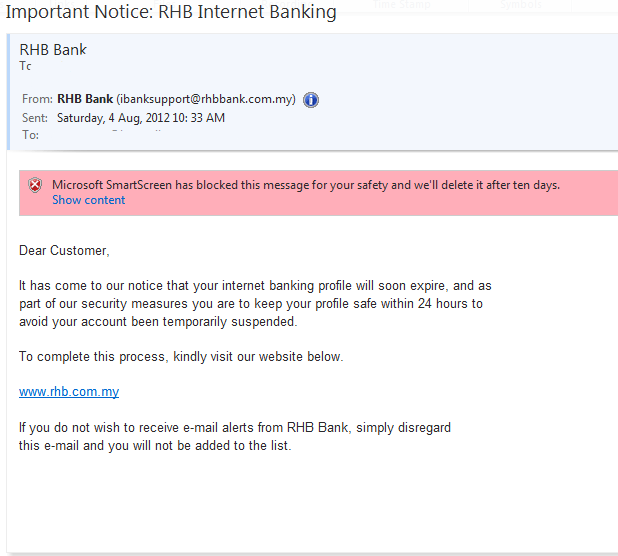 I recently got 2: One attempting to masquerade as Hong Leong Bank & RHB Bank. 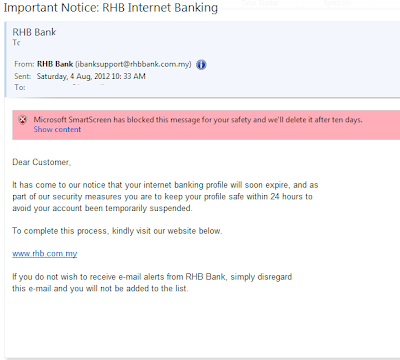 Note that both email looks identical except that the scammer took the extra effort to put in some images for the fake Hong Leong Bank website. 1. Banks will NOT EVER EVER send an email asking users to log in into their account. 2. 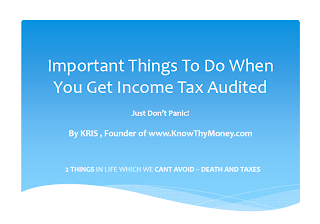 If you hover near the links, you will see that it is leading to some BOGUS sites. I was recluctant to click the links but I know that almost 100% that the bogus website would be a CLONE version of the real online site. It is designed to dupe users to capture their username and password. Websites can be easily clone nowadays. Moral of the story: Beware of any suspicious email asking you to click the given link. I got this email, too. @Aidana, that is a typical scam letter. @Feszti, that is also a scam albeit a phishing type.